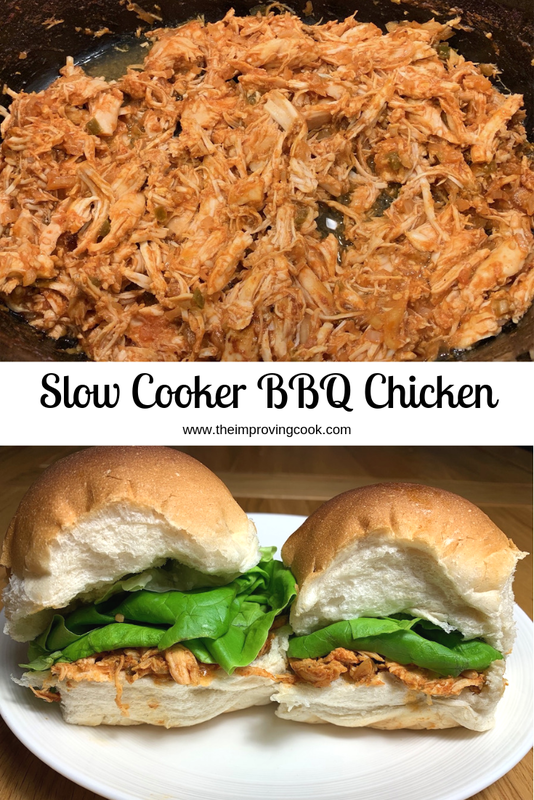 Slow Cooker BBQ Chicken- spicy, shredded BBQ chicken made in the slow cooker. Perfect for sandwiches. I love BBQ flavours, don't you? 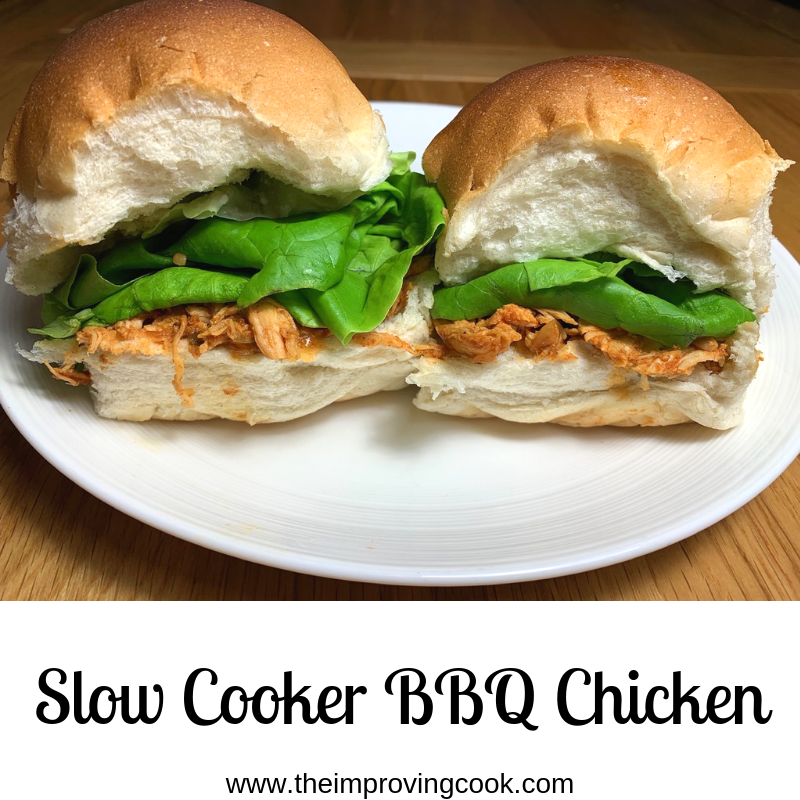 It's such a relief that you can make BBQ meats in the slow cooker too. It doesn't matter if it rains or shines (usually rain here in the UK), the BBQ food can still go ahead. I have made BBQ Beef in the slow cooker for quite some time and, like this BBQ chicken, it's absolutely delicious in sandwiches. 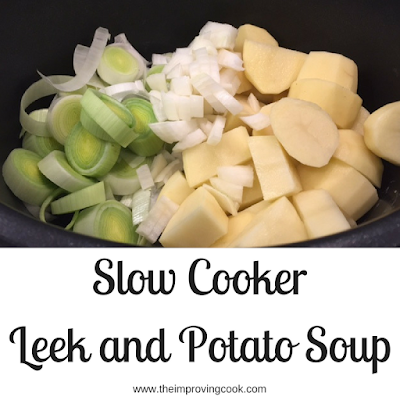 Pop over to the recipe and give it a try. You won't be disappointed. This BBQ chicken recipe packs a bit more punch than the beef as it has added jalapenos. If spicy, spicy isn't your thing, just leave them out and you'll get enough spice from the chilli powder. 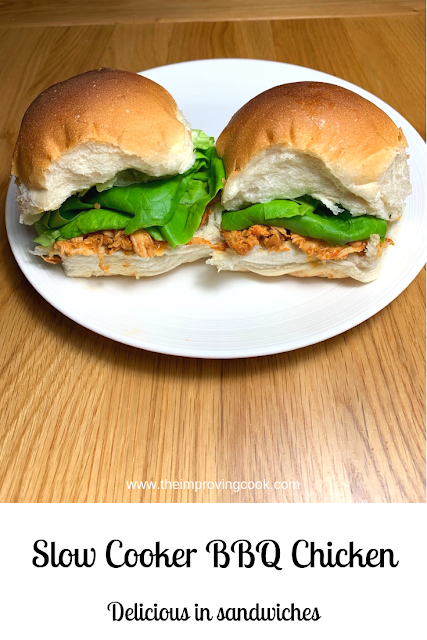 As with all slow cooker recipes, just whack everything in, leave it to cook and then all you need to do is shred the chicken and put it inside a lovely, soft roll with coleslaw, lettuce, whatever floats your boat! Mix so the chicken breasts are well coated. When cooked, shred the chicken. 1. Chop the onion into medium chunks. 2. 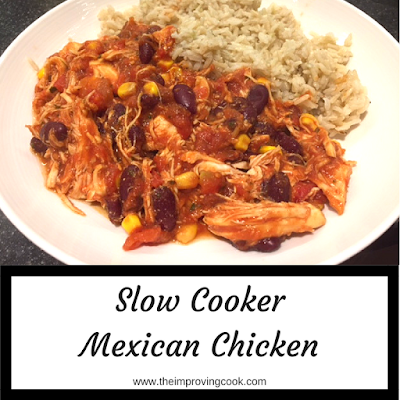 Put the chicken breasts in the slow cooker and add the onion and the jalapenos. 3. Put all the dry ingredients in a bowl and mix together. 4. Add the liquids and the ketchup to the chicken. 5. 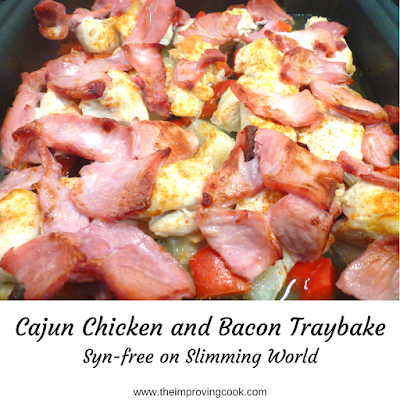 Add the dry ingredients and mix together. 7. Shred the chicken using a wooden spoon and mix through the sauce. 8. Serve in soft rolls with coleslaw, salad and chips. If you prefer less spicy food, leave out the jalapenos.